Developing a set of urban design principles aimed at bringing a stronger sense of place. Mr. Mann collaborated with NBBJ architects to develop a set of urban design principles aimed at bringing a stronger sense of place and a more dynamic interface between key commercial properties in the area surrounding 45th and University Avenue. The principles were presented to City of Seattle officials and key stakeholders in the University District. The design principles fostered dialogue and a stronger sense of “district” and “neighborhood” among the eclectic and sometimes polemical mix of property owners, community leaders, and the University of Washington. With help from the City of Seattle’s Office of Economic Development, a retail tenant was identified for a long vacant storefront at the corner of 45th and University Avenue, the symbolic heart of the University District. 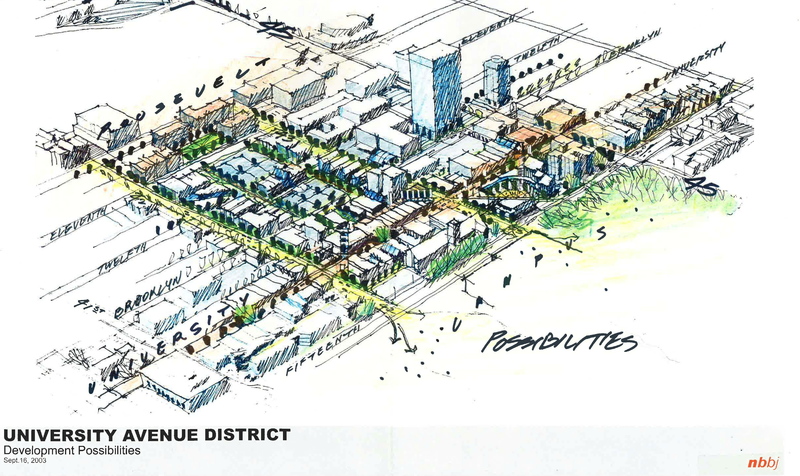 The early conversations and NBBJ’s design principles set the stage for later discussions on pedestrian and transit-oriented development in the University District (http://www.seattle.gov/economicdevelopment/UDistrict.htm).